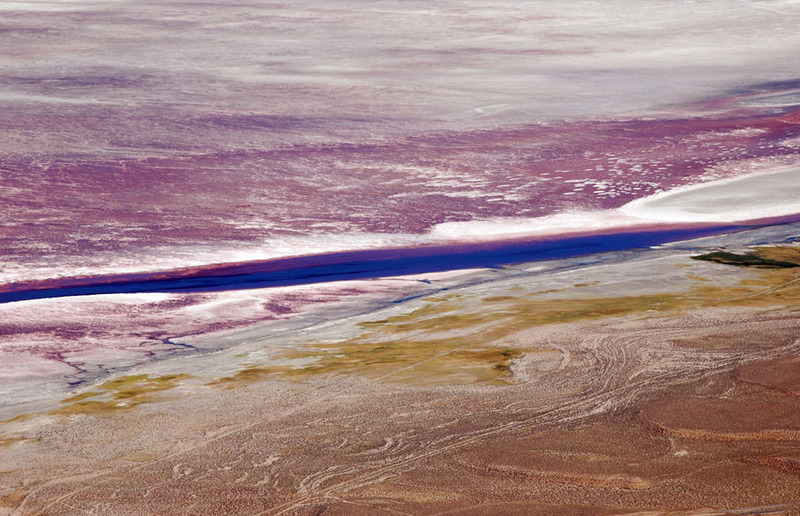 Aerial view of Owens Lake, as seen from Horseshoe Meadows road. Owens Lake was once full, but then Mulholland and the Los Angeles DWP secretly bought the surrounding farmland and then claimed the region's water, to be diverted south to fill the needs of their growing metropolis. All that remains of the lake today is dust and salt brine. Owens Valley, California.